If you’re like me then on Christmas Eve you’ll feel the magic all around. I’m not Christian so for me it has nothing to do with joy at the birth of the Son ( I celebrate that at Yule and my Sun is spelt differently 🙂 ), and it has nothing to do with me thinking that Santa is coming down the chimney to bring me all those things that I had been hoping for, for sadly that sleighbell stopped chiming for me long ago. It may have something to do with the Sun beginning his ascent on the Horizon, and I think it has a lot to do with the Spirit of Mid Winter riding across the sky, playing his part in the Great Hunt. What I do think it has a lot to do with is collective consciousness. So many people , of varying ages, waiting expectantly. The night will be magic, whether it is because those mince pies will be gone in the morning , or because those candles will be lit at midnight. This collective consciousness also touches me at Easter. The Spring Equinox is often long gone with the moving dates of the weekend, but the energy of renewal is still all around us. With that in mind sometimes its hard to acknowledge the deep dark sadness of Good Friday. I always feel it. And I always revel in it. I feel a deep reverence for the sacrifice made, and the grief of His loved ones. I feel the collective grief pouring from the Christian mind. I sit in this stillness and I reflect. What endings do I need to make, what sacrifices? What should I learn from this pause? I feel it touch me and envelop me, and I stop, and I listen. Then on Easter Sunday the energy is joyous. The voices from the Churches are happy and hopeful, and families gather together. Even if its simply a time of rest, the Sun is usually shining and the activity great. ( If you live where I live then there’s a definite gardening frenzy!) 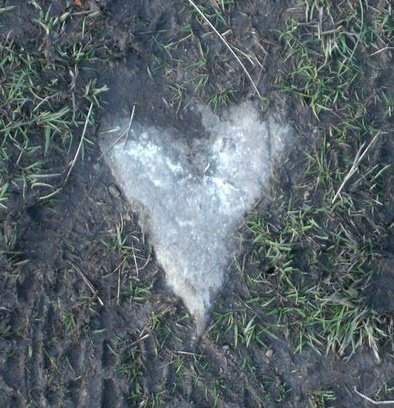 Love is all around. This week in meditation group we are going to look at these two strong energies. The coming Full Moon has filled us with positivity , but with the planetary predictions for next week, the coming darkness will be a welcome time of introvertion, regrouping and rest. We will sit within that energy and imagine ourselves filled with the beauty of the night sky. Then we will send LOVE and PEACE to all across the globe, without and within, to all who suffer, including ourselves. Meditation is active relaxation. It is a spell of time when you allow the body to be still but the mind is focussed. When you are meditating your mind may wonder but you recognise this and return it to your focus – be that observing your breath as it moves in and out of your body, a journey in a guided meditation, or a mantra. ( It can be a multitude of things) It allows you to observe your body and your mind, and a feeling of emotional stillness and energetic rejuvenation can follow. Meditation is not something you do when you’re driving. It is not when you sit and have a little bit of time relaxing with a cup of tea while your mind wonders over the days events. It isn’t listening to the birds and watching them flit about the feeder. It isn’t looking at your crystal collection. These are all things that I love to do – but they are not meditation. They are passive relaxation. What meditation can do for you. Regular meditation practice can improve your stress levels. It can give you a far stronger coping mechanism when times are tough. It can give you a healthy detachment from your emotional reactions – giving you the space to observe your emotions and understand them rather than BE them. It can improve your focus and productivity in many areas of your life. It can help you to develop Spiritually. It can help you to think with clarity, wisdom and give you insight. Again, what meditation is NOT. Meditation is not a quick fix. It is a skill like any other that takes practise. Meditation can give you so much , but you must be prepared to put in the time to help it along. It can allow issues to resurface too, maybe time for you to be aware of a physical ailment, but alongside that should be the strength to go forward with that issue – whether you feel that it is OK just to be aware of it, or feel you should get professional help. A lot of meditation is self awareness. Your body and mind may resist. A change in the status quo can be seen as dangerous by the subconscious, but please keep trying. It really is so, so worth it.